Its time for advisors to dust off a topic they havent needed to discuss with clients for quite some time: the impact of rising interest rates on investment strategy. 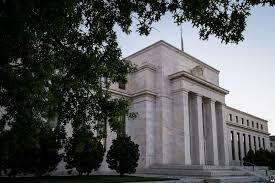 The Federal Reserve headquarters in Washington. It’s time for advisors to dust off a topic they haven’t needed to discuss with clients for quite some time: the impact of rising interest rates on investment strategy.